By Editor - Tailored Jeans on December 4, 2014 . Denim Weight – What does this term actually mean and why is it so important – You may have noticed that some brands list different weights for different denim styles. You would notice on our website we have referred to the weight for all our fabrics. 1. LIGHTWEIGHT DENIM – LESS THAN 11 OZ. Lightweight denim is the easiest to wear category. It is suitable with warm temperature and is very comfortable. 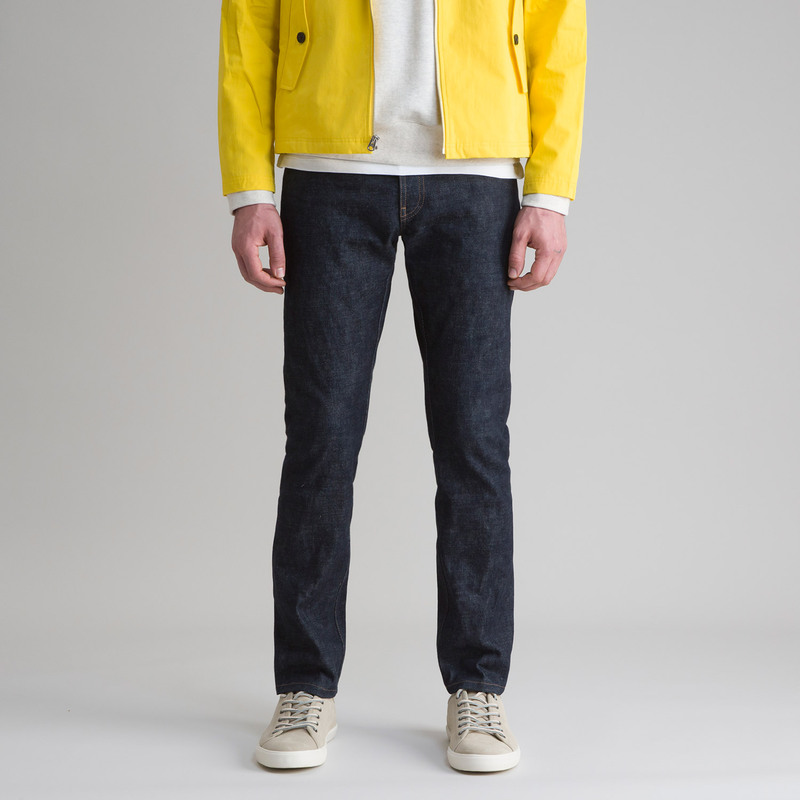 Lightweight denim is particularly easy to break in as it won’t require anywhere near as much wearing time as a heavier fabric to attain a pleasant level of comfort. The only drawback is that the fades achieved with this level of denim won’t look quite as spectacular as a heavier weight of denim. Also their life would be lesser as compared to heavy denim. 2. MID-WEIGHT – BETWEEN 11 OZ. – 12 OZ. This is probably the most common of the denims in the market today. The positives include the potential for a much better fade, long lasting and good for winter. You will, however, take a longer break in time, and will have a little bit of lost flexibility upfront. 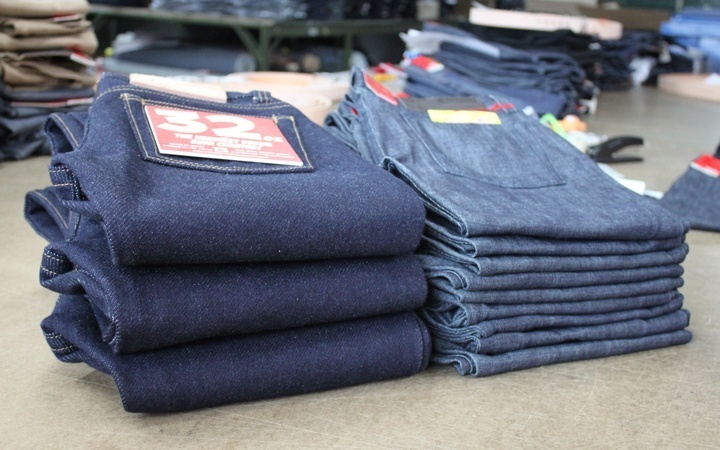 Standard denim jeans in market are often 12 oz. they are also a great gateway for the raw denim unless you are not interested in the all break in process. Finally the heavyweight jeans, the over 12-13 Oz. jeans, which is rare in the market. They’re going to take time and effort and honestly won’t feel great at first.You’d have to be slightly self-loathing to want to stick your legs into a jean that can stand up on their own, but if you keep at it long enough you’ll be left with a very impressive reward. These can last you for a real long time, as they’re incredibly well built and hefty, but you’ll take up a bit of that lifetime to break in enough to enjoy. So lesser the weight, the lighter and softer the fabric will be. Traditionally, 11 to 13 oz. is most popular for denim jeans. Lightweights are more comfortable to wear, but it is actually heavier denim that results in sharper and more spectacular fades. Most people want a jean that strikes a balance. Too lightweight and the fabric will tear too easily–too heavy, and the fabric will be as stiff as a board. Most preferred is between 11-13oz. Raw denim (sometimes called “dry denim”) jeans are simply jeans made from denim that hasn’t gone through the pre-wash process. Because the fabric hasn’t been pre-washed, raw denim jeans are pretty stiff when you put them on the first time. It takes a few weeks of regular wear to break-in and loosen up a pair. However, raw denim is more durable, and many raw denim advocates claim to wear their jeans thousands of times before they wear out, thus making them a strong value when you look at the number of wears vs. the amount paid. Raw denim may sometimes be washed but not chemically treated. To understand what “selvedge” means, you need to understand a bit of history on fabric production. Before the 1950s, most fabrics — including denim — were made on shuttle looms. Shuttle looms produce tightly woven strips (typically one yard wide) of heavy fabric. The edges on these strips of fabric come finished with tightly woven bands running down each side that prevent fraying, raveling, or curling. Because the edges come out of the loom finished, denim produced on shuttle looms are referred to as having a “self-edge,” hence the name “selvedge” denim. During the 1950s, the demand for denim jeans increased dramatically. To reduce costs, denim companies began using denim created on projectile looms. Projectile looms can create wider swaths of fabric and much more fabric overall at a much cheaper price than shuttle looms. However, the edge of the denim that comes out of a projectile loom isn’t finished, leaving the denim susceptible to fraying and unraveling. Most jeans on the market today are made from non-selvedge denim. The pros of this have been the increased availability of affordable jeans; Thanks to the “heritage movement” in menswear, selvedge denim jeans have slowly been making a comeback during the past ten years or so. The problem with this selvedge denim revival has been finding the selvedge fabric to make the jeans, because there are so few factories in the world using shuttle looms. 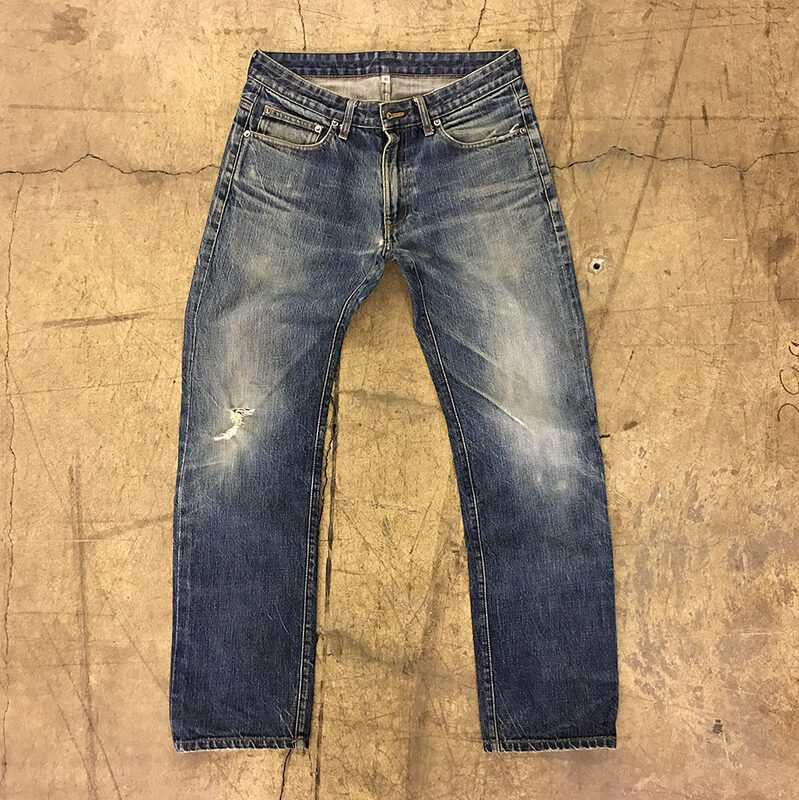 For a while, Japan held a near monopoly on the production of selvedge denim because that’s where most of the remaining shuttle looms are; Japan remains the world’s top producer of high-end selvedge denim. But there are a few companies in the U.S. producing denim on old shuttle looms as well. A common misconception is that all selvedge denim jeans are raw denim jeans and vice versa. Remember, selvedge refers to the edge on the denim and raw refers to a lack of pre-washing on the fabric. While most selvedge jeans on the market are also made with raw denim, you can find jeans that are made from selvedge fabric but have been pre-washed, too. You can also find raw denim jeans that were made in a projectile loom, and thus don’t have a selvedge edge. 1. Upfront costs are typically very high. Also Remember, price does not equal value. So they may be highly priced but does not imply mean that quality is very good. 2. They take a while to break in. Unlike most mass-market jeans that are oh-so-soft when you first put them on, when you initially own a pair of selvedge/raw denim jeans, they’re going to be super stiff. Depending on the weight of the fabric, it may feel like you’re wearing two plaster casts on your legs. Give it some time, wear them every day, and your jeans will soon start to soften up. 4. Indigo can rub off. 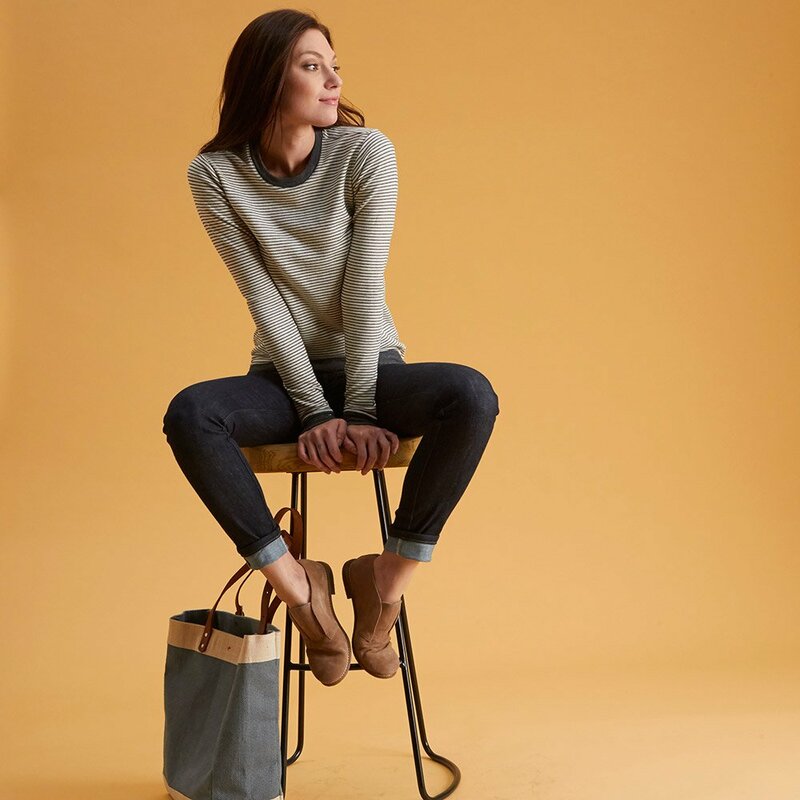 Because raw denim hasn’t been pre-washed, there’s a lot of indigo dye in the fabric that can easily rub off on whatever it comes into contact with, like seat cushions, car seats, and your shoes. After a few weeks of wear and a washing, it stops. 1. They’re durable. Because of the selvedge edge and the often heavy weight of raw denim, selvedge and raw denim jeans can hold up for a long time, even with near daily wear. A quality pair of raw/selvedge jeans, properly taken care of, can last anywhere from a few years to a decade. And if they do rip or wear out, they can always be patched up and repaired and put back into service! 2. Better value. While raw and selvedge jeans can have a high upfront cost, because of their durability, the long-term cost-per-use can actually make raw and selvedge denim a value buy. Instead of replacing a pair of mass-produced globocorp jeans every year, your raw and selvedge jeans will likely last you for a long time. 3. They look great. Raw denim is dark denim and dark denim is probably one of the most versatile pieces of clothing you can own. Raw denim jeans look much sharper. They’re personalizable. While mass-produced jeans come with faux fading and distressing that is the same for every single pair, with raw denim, you create the fading and stressing based on your body type and how you actually wear them. There are different types of wear patterns that may appear in your raw denim such as honeycombs on the back of the knee or “whiskers” on your thighs. Each pair is uniquely yours. Non lycradenim fabric is 100% cotton with no elastene. Stretch or Lycra fabric incorporates an elastic component, such as spandex. Only a small percentage (about 3%) of spandex is required within the fabric to create significant stretching. However this feature will shorten the wearing life of the garment. Lycra fabrics give added comfort and ease and are usually figure flattering since they nicely drape over the body. Lycra denim is generally good for women who want skinny tight or very tight jeans. Our Jeans is one of the most treasured piece of garment in our wardrobe and is definitely something that defines us and our personality. Today, nothing could be more mainstream than denim, but jeans used to be the badge of the rebel, the man who broke from the traditional dress of society and rejected the old way of doing things. Jeans transcend age, economic and style barriers. Washes, embellishments, leg openings and labels fluctuate with fashion whims, but jeans themselves have reached iconic status. • After James Dean popularized them in the movie Rebel Without a Cause, wearing jeans became a symbol of youth rebellion during the 1950s. Because of this, they were sometimes banned in theaters, restaurants and schools. During the 1960s the wearing of jeans became more acceptable, and by the 1970s it had become general fashion in the United States for casual wear. • The oldest known pair of Levi’s jeans were found in 1997 and were 100 years old. • Stonewashed – Most jeans today are stonewashed, but not in pumice stones like the original method. Now enzymes, sand, ceramic balls and other methods give jeans their worn look. • After WWII, jeans evolved into rebel wear for teens and then for the hippies. The ’70s saw an explosion of styles and fabric treatments; the ’80s brought designer denim. Today, jeans are the stuff of high-end designer wear. • The first jeans came in two styles, indigo blue and brown cotton “duck”. • Rivets are used on jeans to make them stronger especially on pockets. In the beginning Levi Strauss & co. placed rivets on all pockets, front and back but people complained that rivets on the back pockets scratched saddles and chairs so at first they covered them and then removed them altogether from the back pockets. • The first label ever to be attached to a piece of a garment was a red flag that was sewed next to the back pocket Levi Strauss’ jeans. • Jeans were first colored with indigo because darker color better hides the dirt. • In time when the jeans were worn by factory workers, jeans for men had zippers on the front but jeans for women had zippers on the side. • A boutique in the New York East Village called “Limbo” was the first retailer to wash a new pair of jeans to get a used, worn effect. It became new fashion hit. • 20 thousand tons of indigo are produced annually for purpose of dyeing of jeans. • From one bale of cotton 2-15 to 225 pairs of jeans can be made. • Statistically, every American owns, on average, 7 pairs of blue jeans. • Birthday of blue jeans is considered May 20, 1873, a date when Jacob Davis and Levi Strauss and co. obtained patent for blue jeans. • Blue jeans were therefore banned at certain places like schools, theaters and restaurants in the ‘50s because they were seen as a form of rebellion against conformism. • Over 50% of denim is produced in Asia, specifically China, India, and Bangladesh. • To eliminate the shrinkage, most of the denim fabric is washed in water after coloring. • Indigo that is used for coloring of denim for jeans is a very old color which was made from plants but now is synthetically made. • Stretch denim is a type of denim that is used for skinny jeans. It is not made from the pure cotton but it has an elastic component such as elastane. • Only a few grams of the indigo are required for coloring of each pair of blue jeans. • Approximately 450 million pairs of jeans are sold in the United States every year. • Blue jeans became popular for the first time outside of the United States, thanks to American Soldiers in World War II wore jeans when they were off-duty.